At the recent SAP Ariba event, we spent some time talking to Paul Jones and Conor Mullaney of consulting and SI (systems integration) firm ExceleratedS2P. Jones moved to take up the role of General Manager of the firm around a year ago, after leading the procurement practice in the UK for KPMG. He seems to be a very down to earth, practical and somewhat non-stereotypical consultant – that’s a compliment by the way. The firm is one of the leaders (outside the “big 4” consulting firms”) in terms of implementation of large procurement systems and change projects. Until recently, they worked with two of the major software providers, but for reasons outside their control, they are no longer working with one of those (there’s a story there, buy me a beer and l’ll tell you). So their work is now very much based around SAP Ariba implementations. “The new offering ‘Excelerated P2P on Ariba’ takes key functionality from the comprehensive Ariba suite and is delivered within a timeframe of 12 weeks at a competitive and lower cost. The ExceleratedS2P team have taken their experiences from what many customers ask for, especially those that are in the mid-market and who want to benefit from packaged best practice processes and functionality. The team has managed to deliver a fully productive procure to pay solution in a cost-efficient timescale, to provide the rapid value return that these companies seek”. Excelerated has developed an “out of the box” approach, which provides the client with a rapid implementation led by the Excelerated team, using a configuration pre-populated with processes and tools. These make use of the IP the firm has developed over many projects, to put together packaged best practice processes and functionality, all designed so the user can get up to speed quickly and easily, and start delivering value from the programme as soon as possible. The focus is largely on the purchase to pay elements of the full suite, although “basic sourcing” is included, as is content around useful SAP Ariba offerings such as Spot-Buy. This obviously reduces risk (no more never-ending implementation programmes with expensive consultants), reduces total cost of ownership and gives more certainty. ExceleratedS2P basically sells a package with a single, agreed price that includes the first-year software licence fee as well as the implementation of the solution. In another interesting step, this product is free for all suppliers to use – no network fees unless by mutual agreement and then only if suppliers want to take advantage of more advanced network capabilities. That will overcome what is often a major stumbling block to SAP Ariba selection and implementation – opposition from the supply base. ExceleratedS2P is also licensing the product and IP behind it to other SAP Ariba implementers and VARs around the world so they can also use this approach and offer the same benefits to clients. We have not had a demo of this, we should stress, but at first sight it seems like an eminently sensible approach. One of the criticisms in the past of the SAP Ariba solution has been that it is somewhat monolithic; maybe fine for the largest businesses, but not flexible or appropriate for smaller organisations. 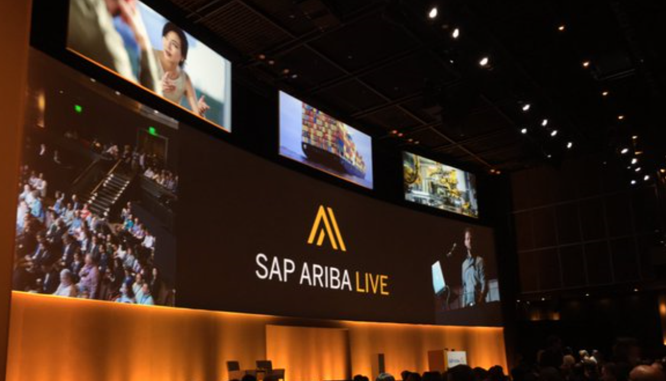 Assuming this initiative delivers on its promise, it could make the SAP Ariba offering much more attractive for a whole new range of organisations; and maybe it will have traction beyond the initial target market. As Jones and Mullaney told us, “we’re also getting interest in the product from some bigger firms than we expected”.